Blood Test Provides More Accurate Prenatal Testing For Down Syndrome : Shots - Health News A pregnant woman's blood contains enough fetal DNA for doctors to check whether the baby would be born with Down syndrome. 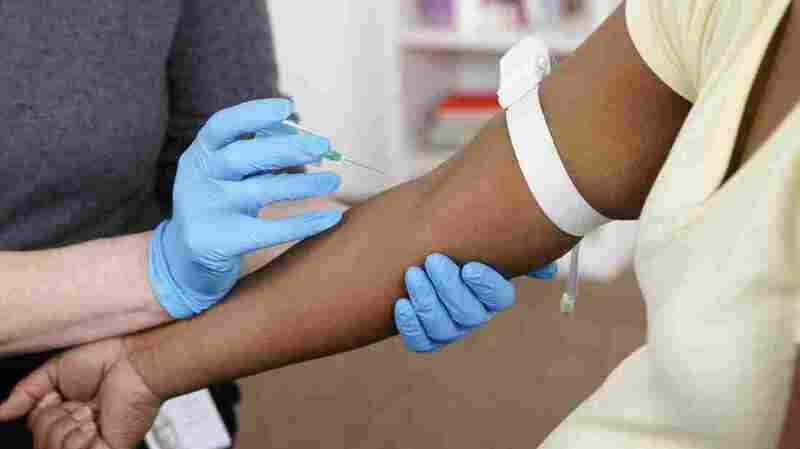 A new blood test is safe and accurate, but it raises ethical concerns. The new test scans a mother's blood for bits of a fetus's DNA. "It's very good news for pregnant women," says Diana Bianchi, a pediatric geneticist at Tufts Medical Center who led the study. "It's very important because it means a significant proportion of women are not being made anxious by being told they have an abnormal test result." "That's what we're really concerned with at the end of the day," Bianchi says. "That there's an unintended miscarriage resulting from a procedure that didn't need to be performed in the first place." Doctors recommend that all pregnant women get screened for Down syndrome and other trisomies, which are conditions caused by too many chromosomes. But the tests, which rely on measuring chemicals in the mother's blood and doing an ultrasound of the back of the neck of the developing fetus, can raise flags when none are warranted in a small but significant number of cases. Verifi is the brand name of the prenatal blood test. 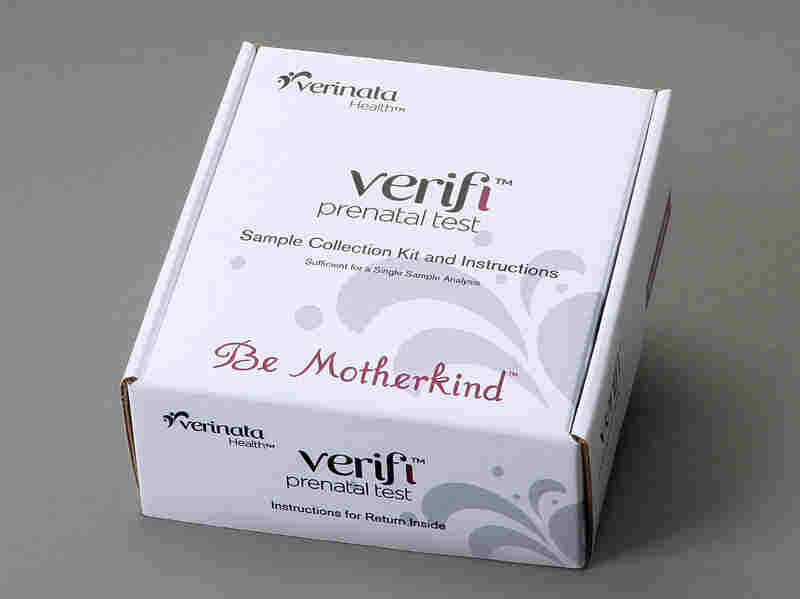 The new test is safe because all it requires is a blood sample from the mother. New high-speed genetic sequencing is then used to analyze tiny bits of DNA from the baby that float in a woman's blood when she's pregnant. "The blood test is counting sections of DNA, and if there is more DNA than would be expected, it suggests that the baby has an abnormality," Bianchi says. While some studies have indicated the new approach is superior to existing screening methods, and increasing numbers of women have been opting for it, there have been a lot of questions about how well it works. So Bianchi and her colleagues decided to try it on a large number of women who were already undergoing standard screening. The researchers found that the DNA was far more accurate, according to a paper published in The New England Journal of Medicine. The test's "positive predictive value," which is its ability to accurately predict whether the fetus has Down syndrome, was 10 times greater than standard testing, the researchers reported (45.5 percent compared with 4.2 percent). The standard testing produced 69 false positives for Down syndrome. The test was similarly more reliable for a related condition known as Edwards syndrome. The study was funded by and conducted with Illumina, a San Diego company that makes the high-speed sequencing machines used in the testing. But Bianchi says that did not influence the study. Other experts agree that the new findings are significant. "It's a major advance," says Michael Greene, an OB-GYN at Massachusetts General Hospital in Boston, who co-authored an editorial accompanying the study. "This is the first test that measures DNA directly." But Greene and others have some reservations. The new DNA tests are more expensive (the price varies depending on the company performing it). And Greene is concerned that some women may not realize it's still not perfect. "I'm worried that without a proper sense of perspective on the test that women may use a positive screening test as the basis for terminating what would actually have been a normal pregnancy," Greene says. Others have more concerns. Abortion opponents fear the test could prompt more women to terminate their pregnancies. And advocates for people with Down syndrome have their own worries. "People with Down syndrome are artists. They're poets. They're athletes. Their lives are happy ones and fulfilling ones. I have a sister with Down syndrome who certainly is a life coach for not only myself but for my entire family," says Brian Skotko, co-director of the Down Syndrome Program at Massachusetts General Hospital in Boston. "If the new tests become a routine offering, then we have to start to ask: Will babies with Down syndrome slowly start to disappear?" And that's not all. The technology the test uses can quickly and relatively inexpensively scan the entire genetic code of a fetus. So it could be used to screen fetuses for all sorts of things, such as whether the fetus is male or female, much earlier in a pregnancy. "In the near future you could imagine people testing for your risk of getting Alzheimer's when you're 70 years old or diseases that don't strike until the middle of life, like breast or ovarian cancer, or something as minor as color blindness," says Hank Greely, a bioethicist at Stanford University. "I think regulators, legislators, doctors, will have to make some hard decisions about what kind of information they want give parents that parents could then use to terminate a pregnancy," Greely says.